This long slender wand full of light purple flowers combines its force with thousands of other hanging branches to produce an explosion of purple. This graceful, fragrant shrub can be trained to a central leader and used as a miniature weeping willow, but we like its natural form. 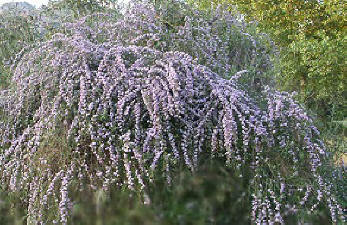 Fountain Butterfly Bush blooms in early spring before Buddleia davidii's do. Its bloom lasts only about a month, but it is truly spectacular. 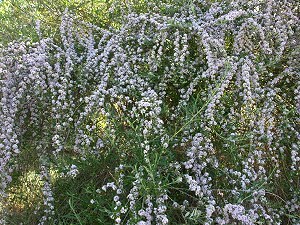 Fountain Butterfly Bush makes a great addition to our Wildlife Herb Garden Six Pack.